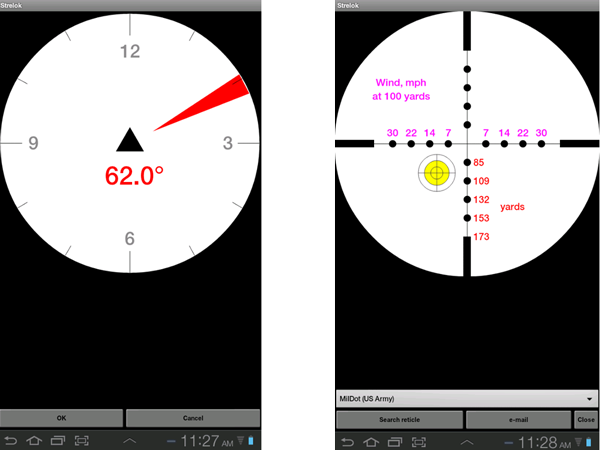 The “Strelok” app by developer Igor Borisov is a free, high-quality ballistic calculator for Android OS that has many noteworthy attributes (the “donate” version is $9.99). This independent review post will take you through the top features and highlights of this excellent marksmanship tool. Aside from being free, Strelok is an autonomous software package that once installed, does not require an internet connection to provide full functionality. This is nice if you are out in the middle of nowhere and need to use it. Furthermore, as of the date of this post, Strelok does not require invasive permissions, nor does it bombard you with piles of annoying ad’s like other “free” apps do. It only requires read/write permissions to the SD card to store your data. 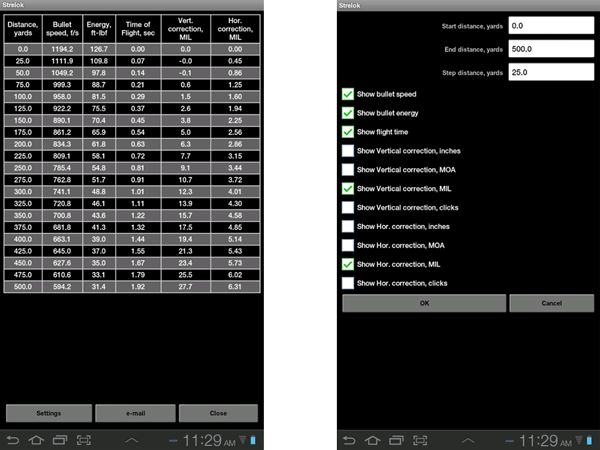 This app is also very resource friendly, meaning that you can use it for many hours in the field without excess drain on your battery from background processes. Strelok is an easy to use and highly functional calculator that processes the relevant ballistic variables, and spits out useful data for making accurate shots. The user interface is simple and easy to navigate. You can build customized weapon profiles that are stored on the SD card for rapid retrieval, and there’s a whole boatload of reticle profiles built into the app (more are added with each update). Despite being a bit rudimentary from a design perspective, the interface is very user friendly and should be easy for non-techies to handle. You simply fill in the information for the variable fields, choose the appropriate reticle, and Strelok does the rest. Strelok is a great tool on the range and in the field. In the future, I expect to see even more reticle options as the developer rolls out subsequent updates. I would also urge them to add a database of ballistic coefficient (B.C.) values for major bullet makes & marks, as well a B.C. 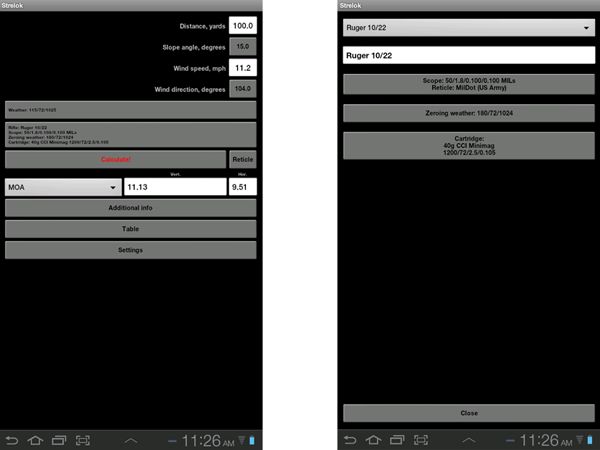 estimator/calculator. Currently, you have to get your B.C. values from an external source. Nonetheless, this is by far my favorite ballistic calculator for Android, and one of the friendliest “free” apps on the Google Play store.